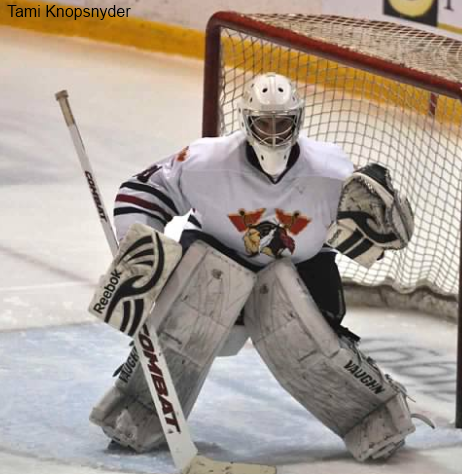 This wasn't a great weekend for the Tomahawks' but they avoided having it be a horrible weekend by picking up a win on Sunday afternoon, 5-0. The Tomahawks still sit in second place in the North division, with 44 points. 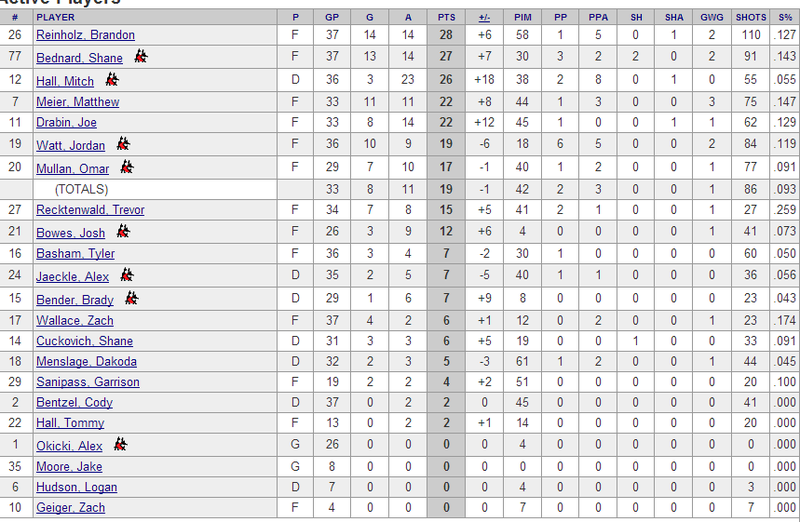 The Port Huron Fighting Falcons are still in 1st place, with 49 points. Johnstown has a four point gap between themselves and third place Michigan Warriors. Next weekend the Tomahawks stay on the road, this time heading to Springfield for the first time this season. 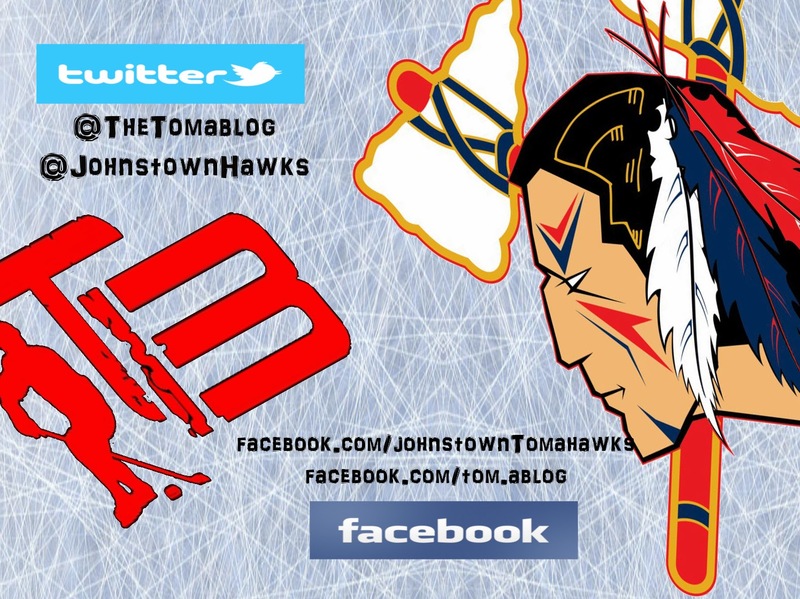 This weekend saw the Soo Eagles shutout Johnstown on Friday night, only to have Johnstown return the favor on Sunday. This season the two teams have played nine times against each other, and five of those games have resulted in a shutout for one team. Soo has done it twice to Johnstown. Johnstown has done it three times to Soo this season. Joe Drabin- In three games this weekend Drabin had 3 points and was a plus 4 (2 goals, 1 assist). Brandon Reinholz- In three game Reinholz also had 3 points, while being a plus 3 (1 goal, 2 assist). Garrison Sanipass played in all three games and had a goal and an assist. He was also a plus 2. Mitch Hall has a big afternoon on Sunday, registering three assists and was a healthy plus 4. Alex Okicki started on Friday and Sunday, and came in releif for Moore less than five minutes into the game on Saturday after Moore allowed two goals on the first five shots. In total Okicki faced 109 shots, turning away 105. (.963%). Check out our latest update to the Alumni stats. Corey Schafer is now leading all former players in points. Also Chris Truehl made his first start for Air Force and turned away all 18 shots getting his first win and his first shutout in his college career.